With the dominance of Apple, we wondered how we could set up Airplay with outdoor speakers. The answer to that question is what created this post. 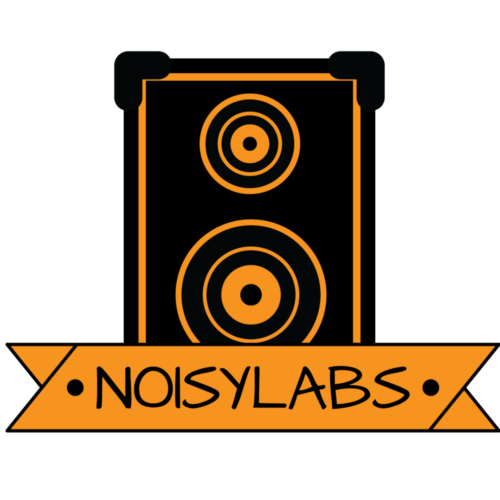 Be warned, there is no specific paragraph in this post which details how to connect to an outdoor speaker via Airplay, but the information we’ll provide is more than enough to know how to connect to an outdoor speaker. Keep in mind, there’s no “best Airplay speaker.” There’s just a lot of options. If there’s a clear winner when it comes to Airplay speakers, then there’s a good chance we’ll review it. The iPhone is a powerful device. It was only 11 years ago since the first iPhone came out. 11 years ago! Since that time, the iPhone has become an increasing presence in our daily lives. In fact, you might be reading this from your iPhone. The iPhone has a lot of applications which we use in our daily lives. A couple of examples are Uber and YouTube. But what about the phone’s utilities itself? You have Wi-Fi, airdrop, and Bluetooth connection. One of the more underrated capabilities of the iPhone is Airplay. 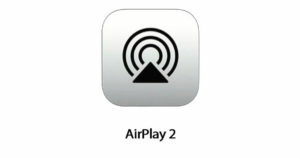 Airplay was first introduced in 2010, not long after the first iPhone popped up. Its purpose is to stream audio and video wirelessly. Hands-free technology is the future we’re heading towards, and Apple knows that which is why Airpods are a big hit. The friction you hear sometimes from speaker cables isn’t as common in Airplay because of its enhanced buffering. With better buffering, latency gets reduced. For those who don’t know, latency means the waiting time between something starting and ending. An example would be the latency between you putting your deposit in the bank, to the screen confirming it has your money. That waiting period for Airplay connecting to a device is smooth. Another benefit to Airplay is it connects to multiple devices simultaneously thanks to Airplay 2 which we’ll talk about in the next section. Imagine having your home theatre system setup right from your phone. The difference between streaming music on Spotify and streaming music using Airplay is Airplay comes from your own network. This is Airplay in a nutshell. Last year Apple came out with the latest version of Airplay. The latest update to Airplay gives the user the ability to send audio to multiple speakers. You might ask, how does that benefit me? 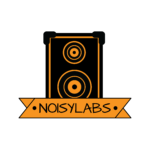 Besides being able to use multiple speakers, you can use speakers which aren’t the same and make them work together. For example, if you have a Sonos and Bose speaker, with Airplay 2, you’ll be able to use both using one device. Whether you’re using an iPhone or Apple TV, audio playback stays the same. But how does Airplay work? There are 2 components to Airplay. The first component is the source. The source works the Airplay-enabled software which lets it stream both music and video on devices. The second component to making Airplay work is the receiver. A receiver is a device which takes the streaming information from an Apple device. It’s basically a device which works with Airplay. Airplay works with all Apple products. The list includes an iPad, iPad Touch, iPhones, and Apple TV’s. The devices which are compatible with Airplay aren’t limited to Apple products only. If that were the case, this would be a very short post. Products which are becoming compatible with Airplay are branded stereos. Third-party manufacturers are working with Apple to make this compatibility happen. But different types of speakers are becoming compatible. This includes outdoor speakers, Bluetooth speakers, and home speakers. Any manufacturer can apply to Apple to support their product with Airplay. Some examples of different brands working with Airplay are Denon and Bang & Olufsen. Some brands are in the process of confirming their support of Airplay like Bose and Beats. But with the dominance of Apple in consumer electronics, there’s a high probability both brands work it out with Apple. After the 2010 release of Airplay, Airport Express came into play during 2012. Just 2 years later and Apple came with another gadget. Airport Express works as a conduit. It acts as the middleman just like a router. If you had no internet connection, but you wanted to control a whole network of Apple devices in your home, then this is the accessory you need. Even if you have a third-party device, as long as it’s Airplay-compatible, then you can directly connect your speakers to it. If you have multiple Airport Expresses, then you can play multiple stereos. It will come in handy for those times when you’re throwing a party. For those who are concerned with security, don’t worry. 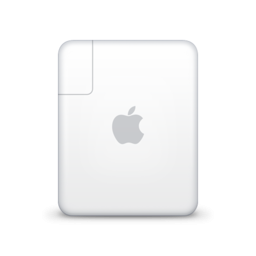 Airport Express comes with a built-in firewall which is automatically on. There is no effort on your part to install or maintain the firewall. A great addition to having Airport Express is you can let your guests contribute to the entertainment. Just set up the guest network and give them passwords. Once that is done, your guests can start streaming videos and music to the network. Depending on your source, enabling Airplay will differ somewhat. For the first scenario, let’s pretend you have a Mac and an Apple TV. On your Mac, open what you want to be on your Apple TV on your Mac. Everybody doesn’t have a Mac. Everybody doesn’t have an iPhone either, but it’s more likely because iPhones are more ubiquitous. – iPhone 8 (or earlier version): To get to the control center from an iPhone 8 version or earlier, swipe up from the bottom of your screen. – iPhone X (or later)/ iPad with ios 12 (or later): Swipe down from the upper-right corner of your phone screen. The last step depends on if you have a passcode or not. If you do, enter the passcode from your handheld device you’re using to mirror. Tip: When you’re streaming from a smaller device to a bigger device, the screen ratio isn’t going to be the same. What you need to do to fill out your television is to adjust the settings on the TV. But don’t expect high-resolution quality when adjusting your screen ratio. 2 requirements have to be met before setting up the Apple TV to the Homepod. The first is both devices have to be on the same network, for obvious reasons. The second requirement is to make sure both Airplay settings for both devices work. 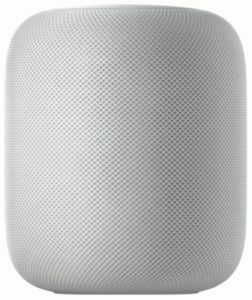 What’s funny about Homepod is it doesn’t even work with Bluetooth, but it works with Airplay. This shows how important Airplay is to Apple. What if you’re watching a movie on your Apple TV and want more surround sound? Any technology has its downside. There aren’t any obvious downfalls with Airplay, but there are problems which can arise. If Airplay isn’t working, here are a few remedies which are a good start to fix your problems. Make sure your devices are close to each other. This is similar to how Bluetooth speakers start making static sounds when the source is far away. Another easy fix is to check your Airplay settings. It doesn’t matter whether it’s your source or receiver, both devices shouldn’t be restricted from Airplay. A quick fix to troubleshooting your Airplay problem is to fix your updates. Most of the time Apple products will ask you for an update. But sometimes we don’t want to update it at the moment because we’re using it. That’s why you need to check to see if an update is available. If you don’t have Airport Express, then you’re probably on the Wi-Fi network. Besides making sure the Bluetooth is on, you need to make sure the router is good and the devices are connected to the Wi-Fi network. If you’re using third-party manufacturers then connecting is different. Sometimes they’re straight-forward, but other times, you need to check the user’s manual or contact customer support. Streaming to Airplay speakers via Airplay 2 increases the versatility of Airplay. It also increases the user’s experience which is what big technology companies care about deeply. But what happens when you have too many speakers and multiple rooms? You can organize the home speakers by using the home app. Not only can you organize your speakers, but you can control what song plays in each room using the home app. What if you don’t feel like using your fingers? Well, you can use voice control to control what song plays in each room by using Siri.